At 5:41pm on this day last year, the city of Joplin, Missouri was nearly wiped off the map by a tornado. I was safe at home in Kansas City, blissfully unaware that my hometown, the place I was born and spent the first five years of my life, was being laid to waste. When my mother called to tell me if I knew what was happening, reports were still sketchy. All she knew was that it had hit, and that it was bad. Over the next couple of hours, I watched the national news and texted my brothers, both of whom had graduated from high school in Joplin, both of whom had friends that still lived in the Joplin area. With communications down for much of the night, it took an excruciating amount of time to find out that they were all okay. Needless to say, not everyone was so lucky. The first video that came out was horrifying. Pictures of an area so devastated that not only could you not recognize it as Joplin, you couldn’t recognize it as a city. Some images were like visual puzzles. It took awhile to realize that twisted hunk of red metal lying on the ground used to be a medical helicopter. Houses were just gone. Trees were stripped of their branches and leaves and bark and jutted from the barren earth like bleached bones. It almost defies logic that anyone survived in the mile-wide and 13-mile-long swath the tornado cut through the middle of the city. One hundred and sixty people didn’t. I found myself strangely affected. Honestly, I hadn’t been there since I was maybe 12, and only to visit. I barely remember my time there, but still it was the place I was born. My earliest memories are there. And there was the very real possibility that the place that I began, the house on Schifferdecker where I learned to read and watched Transformers and helped build my first snowman and saw my first snapping turtle and ate my first pizza, was gone for good. My brother, Shannon, went down there not long after the disaster to help in the relief efforts. He said it was worse than what even the video could portray. Just miles of nothing but rubble. Lawnmowers twisted like taffy. Bizarre instances where an entire house might be destroyed with only one wall left standing, but that wall would have an entire bookshelf with all its contents completely unscathed. Fortunately, the house on Schifferdecker was still standing, untouched by the tornado. But another home that my family had lived in before I was born was gone. I went down in October for the Missouri vs. Missouri Southern basketball game, the proceeds of which went to the monumental rebuilding efforts. And I saw the house on Schifferdecker. Less than two blocks away is where the tornado touched down and the path of devastation begins. That was surreal. We visited Junge Field, where my brothers played football and where emergency responders set up a triage center the night of the nightmare. 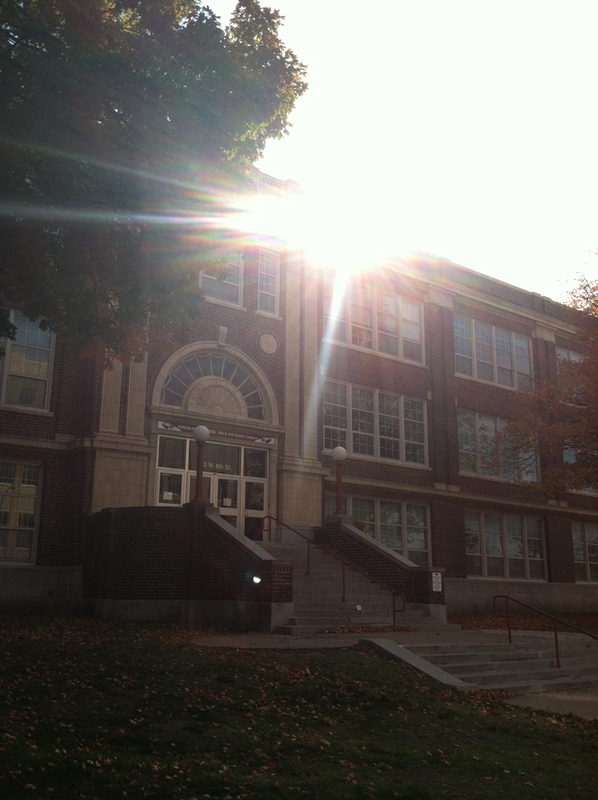 We visited the high school, and its now-famous “HOPE” sign. We visited the other house on Montana Place. The rubble had been cleared, and there was literally nothing left aside from a few pieces of a broken plate, one of which I pocketed. 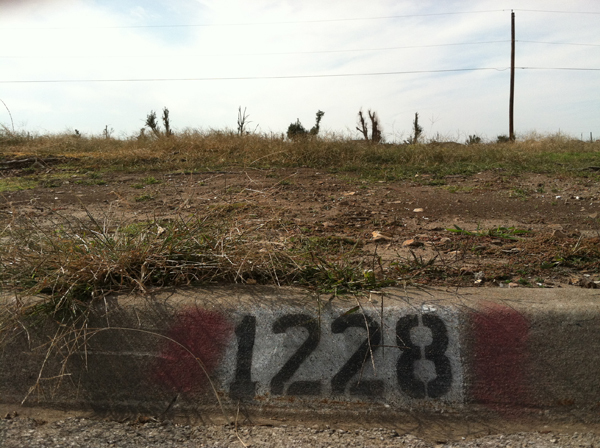 Were it not for addresses painted on the curbside, we’d never have found it. And there was rebuilding. Houses were starting to poke back up out of the blasted earth, slowly but surely. Businesses defiantly promised to return, bigger and better. Twenty-five percent of the city was simply gone, but the other seventy-five was not about to follow with it. In the Mazzio’s Pizza on Rangeline, it was clear hadn’t even lost its sense of humor. 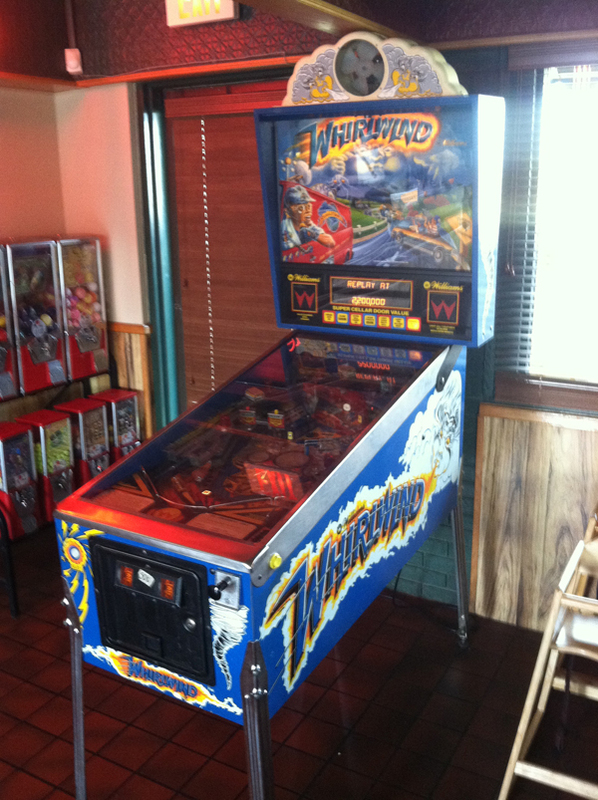 A pinball machine namedWhirlwind sits proudly near the front, shouting “Danger! Return to your homes! The storm is coming!” at players. By now, most of you have probably relived those 32 minutes again and again. Where you were. What you saw. When you knew for sure that it was over. The first contact you had with someone you love. The first day you woke up in a world that would never be the same. Joplin may never be entirely whole again. There will still be a scar on the city that not even rebuilding and time can heal. But as long as they work to put things back the way they were, and as long as the rest of us are moved and inspired by their efforts, then Joplin Prevails. Tags: disaster, history, Joplin, life, Missouri, tornado. Bookmark the permalink.